BMR means Basal Metabolic Rate. This widget helps you to weight loss. 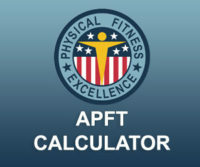 Thanks to the Basal Metabolic Rate calculator you can calculate your TDEE (Total Daily Energy Expenditure). Then you’ll know how many calorie you need per day. The BMR Calculator is the perfect tool for the weight watchers. Our Basal Metabolic Rate calculator is a free online tool. Our BMR calculator is able to estimate your BMR from imperial units (feet / inches, pounds) or from metric (m, kg) units. The Basal Metabolic Rate calculator measures the calories that your body needs per day and at rest without doing anything (no sport, no job). You just have to tape some criteria such as age, weight, height, gender. This last information is significant because the kcal/day needing varies from men to women. Once you taped your personal data, the tool indicates your own score. Your body needs some energy just to live, that is to say to breathe, to control internal temperature or for cerebral functions. The energy comes from the calories that we absorb by food. According to our way of life, our average basal metabolic rate is 60-75pt per day. This changes with age and morphology. The older we are, or the slimmer we are, then the lower the BMR is. Conversely, the more we do bodybuilding and the more we need a high BMR. There’s an app that calculates your BMR with activity. This is on myfitnesspal. Why using the BMR calculator? 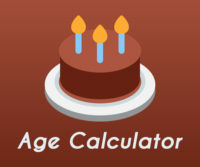 You must use the BMR calculator if you want to learn about your calorie needs. If you know your BMR, then you’re able to estimate the amount of calories you need each day. So you could settle your daily meals and the food you eat. Thanks to the BMR calculator, you could easily lose weight. Before now, in order to estimate the Basal Metabolic rate we used the harris benedict method. There’s also another equation which is the katch mcardle one. This helps to estimate the RDEE (Resting Daily Energy Expenditure). In order to lose weight, some others formulas and calculators can help, such as the BMI calculator, the resting metabolic rate calculator, the lean body mass calculator. Now, to return a very specific score the BMR calculator uses the mifflin st jeor formula. This is the most accurate method. It takes in account the differences between males and females. This equation that was established by two scientists in the 90’s is the best one. 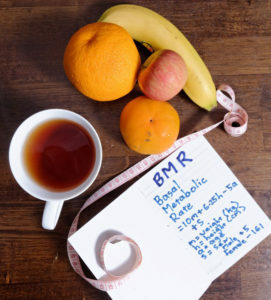 You’ve got to know that the BMR is related to the BMI. That’s why we advise you to calculate your Body Mass Index too. You can do it with the free tool BMI Calculator. Having a high body fat rate may decrease your basal metabolic needs. But not necessarily. Actually it depends on your activity level. Indeed, you can get a high BMI because of an important muscle mass (which means you’re not overweight) and you can get a high BMR because of being in motion.